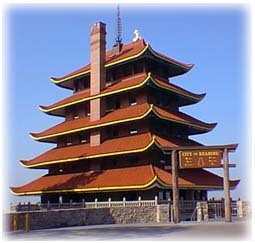 Pagoda-Skyline, Inc. is a non-profit, citizen volunteer organization dedicated to the restoration and preservation of the Pagoda, the Fire Tower and the Skyline Drive area. Many years of hard work have been spent in order to keep the Pagoda the attraction it is today. Pagoda-Skyline, Inc. is always looking for persons interested in contributing to their efforts. Contents of this web site ©2001, 2018 Pagoda-Skyline, Inc.